It is with great sadness and sorrow we announce the passing of Pat at the CSS Memphremagog on Wednesday, December 18 surrounded by his family after a short illness. Pat was born in New Bedford, Mass. and spent his childhood in New York City. In 1939, Pat returned to the original home with his parents Henry and Rose in North Hatley, Quebec. 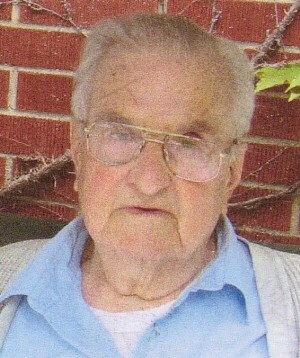 Pat was a WW2 Naval Veteran and one of the founding members of the Royal Canadian Legion Branch #242 in North Hatley. After the war, Pat worked at the popular ski lodge Hillcrest, and after the sale of the lodge, Pat worked at A.B.B. Inc. located in Sherbrooke. Pat leaves to mourn his beloved wife Edythe; sons David (Rosslind), Steven (late Sylvia), Bryan (Sue); granddaughter Sarah and great-granddaughter Norah of Port Hope, Ontario and grandson Jeffrey of North Hatley. No visitation. Interment at St. Elizabeth Cemetery at a later date where a Graveside Service will be held. Arrangement entrusted to Steve L. Elkas, 601 du Conseil, Sherbrooke. A heartfelt thank you to all employees of C.S.S.D.M. CLSC and co-op for all the loving care of Pat. The Gagnon Family.